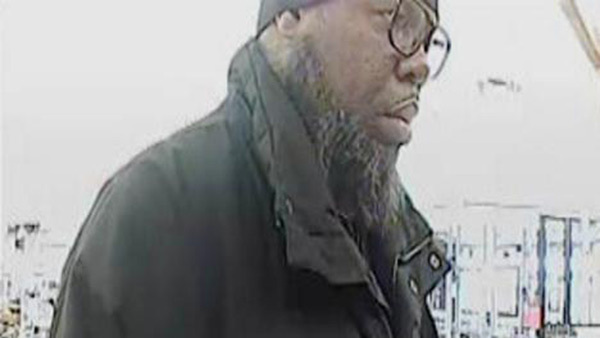 CHICAGO (WLS) -- The FBI is searching for a suspect they've named the "Black Cap Bandit" in connection with a series of bank robberies in the Chicago area. TCF Bank at 7910 S. Cicero, Burbank, Ill., on Oct. 29, 2014 around 2:51 p.m.
Standard Bank and Trust at 1968 Sibley Blvd, Calumet City, Ill., on Nov. 6, 2014 around 4 p.m.
TCF Bank at 3570 N. Elston, Chicago, on Dec. 31, 2014 around 11:15 a.m. The suspect is described as a 6-foot-2 black male weighing around 200 pounds, officials said. In each of the incidents, the suspect was wearing a black cap. The FBI is offering a reward for information leading to the capture of the suspect. Anyone with information should call 312-421-6700. 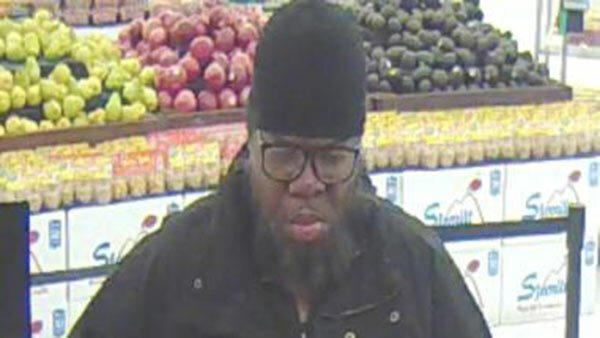 The FBI is searching for a suspect they've named the "Black Cap Bandit" in connection with a series of bank robberies in the Chicago area.